We are your premier Carpet Cleaning Services specialists in London. Whether you need professional cleaners to do your Steam Cleaning, we are here to help. Call us today at 020 3907 7263. I was planning a house party but unfortunately things were overwhelming. I cannot clean everything swiftly because there are other things that I need to do. I called your company for domestic cleaners London to make things easier for me. I was satisfied and happy because you were very helpful. You did great when you clean the whole house, making it ready for the party. Good job guys! I hired professionals carpet rug cleaners London because my carpet needed one. Your company was very efficient because in a few hours, carpet cleaners were at my doorstep. I trusted your company because I read from your website that you have 15 years of experience in the industry. That counts for something. I also availed of other services like domestic, mattress, upholstery and window cleaning. Thanks to your company in London, I was able to avail affordable one off cleaning services. I was planning to include it in other tasks like office cleaning and I was really contented of your price quote. I was looking for a company that provides likeable discounts for a one off cleaning service in London. This was after I noticed the dirt accumulating at home. I was lucky enough when I learned your company provided bundle rates too. When I got my own place, my mom bought me this really cool carpet. It was worth a lot and she even made me promise to take care of it. When I spilled wine on it, I panicked. I had to take the stain out but didn't know what to do. My friend told me that your carpet rug cleaners here in London are really great. That's why I immediately scheduled an appointment. Whey they arrived, I showed them the stain and they said they'll work on it. After a couple of hours, they asked me to look at it and I was shocked. It looked like nothing happened and it smelled really great. I wanted to hire a professional one off cleaning services for my house in London. After the cleaning, I was glad with the results. Hiring your company is the best cleaning choice I've ever made. I have acquired services from many similar corporations already but I can say you have the best carpet rug cleaners in London their services are simply stunning. The professionals sent by your company in London were very efficient when it comes to cleaning carpets and rugs. You took care of my carpets and rugs, for that I am thankful. After the carpet cleaning service, my carpets and rugs are as good as new. I do not need a new one. Thank You! In taking care of our precious carpet rugs, we just don't need to be equipped with cleaning skills. We also need to be knowleadgeable on what and what not to do. It's a little hard to comprehend things not to do. That's the reason why your carpet cleaners in London are here to help us. They do the working, we do the soiling. I have a flat in London and 5 years ago, I own standard a wedding gift from my chief which was a Tabriz carpet. My 4 year old child spilled his hot drink on my precious carpet and I had no idea to clean it up without destroying the carpet by itself. I informed me by boss about it and she gave me your phone number. It was the most excellent choice I've made because you were able to clean it up made it look like nothing got spilled into it. I will for sure get your carpet rug cleaners again very soon and you can certainly count on it. I give your facilities 2 thumbs up. We contacted Fast Cleaners Ltd and ask about their carpet rug cleaning. Their services are located in London. We spoke to a sales person, who explain the cleaning mechanism and we decided to order their carpet rug cleaning service. We were very happy with our choice and our carpets clean and fresh smell. Fast Cleaners Ltd provides the best steam cleaning London service in town.This type of cleaning is really deep and efficient and I decided to try it The results were more that great, you should come and see the tiles in the bathroom - as bright as they can be. For years I trust Fast Cleaners Ltd's carpet and rug cleaners. These days I intend to call them again, as I have their sevice four times a year with the beginning of each season. This is I know that they will not disappoint me again, as they are really professional and use the latest cleaning machines. Recently, I bought a house in London and I am thinking of moving there. What is important to be said, however, is that I needed home rug cleaning provider for this house in London. A friend of mine recommended me Fast Cleaners Ltd and I called them. I was sceptic first, but after I saw the overall results, which was magnificent, I decided to use Fast Cleaners Ltd from now on. I was to move out from my apartment and my landlord asked me to clean the Mattress in my bedroom. At first I felt really surprised and irritated and did not know what to do. A friend of mine told me about Fast Cleaners Ltd in London and their Mattress Cleaning Services. I called them and they managed to come immediately. They did an amazing job and both my landlord and I were very happy. 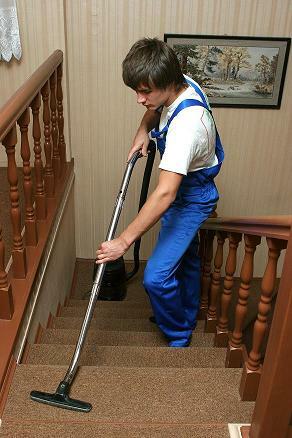 Fast Cleaners Ltd provide a magnificent Carpet Cleaning Service. I've been using them for some time now and must admit I have never been happier. A few weeks ago we called Fast Cleaners Ltd to ask them for their End Of Tenancy Cleaning Services. Our apartment was a big one, so two cleaners came. Honestly speaking they did a great job, steam cleaned the bathroom and toilets. When I lived in London,E16 I used to call every 4 months Fast Cleaners Ltd and ask for their Carpet Cleaning Service. Each and every time I was extremely satisfied with their service and enjoyed the way my carpets look. The services of Fast Cleaners Ltd in London are one of the few that have brought me satisfaction. I must say I am glad I have been using their Carpet Cleaning Services for long time now and I am sure this won't change. What can I say? Since day one I have been extremely satisfied with my home cleaner. All their staff are professionally trained and I am pleased that they take care of all my house cleaning responsibilities. They have exceeded my expectations. I have had a regular cleaner for over 2.5 years now. I am very happy with the cleaning agency, as they provide an excellent service, my cleaner is always on time and my house looks great when she leaves the property. In regards to the feedback on the service provided, I have to say that I was extremely happy to receive such a fast service, as I booked a cleaner a day before, and efficiency on your colleague's and your behalf. Kind Regards Luke N.
Thank you for the wonderful cleaning done this weekend! I used Fast Cleaners for a one off spring cleaning and carpet cleaning services and I was very happy and pleased with the cleaners. I found the service extremely satisfactory and the cleaning operatives went that extra mile beyond their bounds of duty to make sure that I was pleased with their endeavor.